Note: The above headline is a quick gimmick that was too easy to pass up and in no way indicates the political views of this reporter, this news outlet, the collective families thereto, the Lincoln Motor Company, any Lincoln Continental buyer, anyone named Lincoln or anyone who might recognize a photograph or artistic representation of Abraham Lincoln. Back from make and model hibernation after some 14 years, the Lincoln Continental rolled out into the luxury sedan market for 2017 with grace and poise — and proceeded to shoulder its way aggressively to the top of the hill. 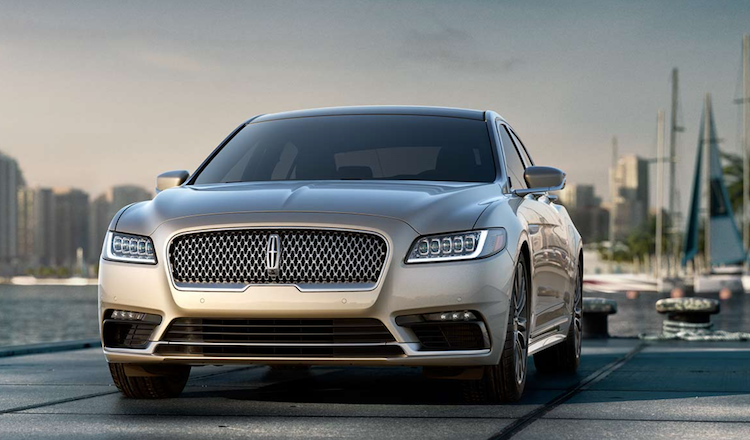 Faced by a very thin crop of competitors, the 2017 Lincoln Continental is already the best American-made luxury sedan. Lincoln maintained a mild-mannered profile in the U.S. market in recent years without the Continental, while sales boomed in China as buyers there gravitated toward the make as status symbol vehicles. Stateside, the lack of its signature sedan left the automaker missing one of the jewels in its crown. There’s always been a mystique about the Continental, whether in the hands of the well-wheeled and U.S. loyal or driving the nation’s limousine fleets. While the Continental is the prototype livery vehicle, Lincoln reps insist they did not bring the car back to its lineup just in an effort to refill limo fleets across the country. The 2017 Lincoln Continental is a luxury vehicle aimed at the individual buyer of means looking to drive a classic nameplate with the most up to date technology available. Depending on trim level and configuration, the Lincoln Continental employs one of three comparable power plants — a 2.7 liter V6, a 3.0 liter V6 and a 3.7 liter V6. There’s ample power to move the car along in its silky smooth cruising, but the car never feels like it’s secretly aspiring to be a performance car (like its German rivals). Still, the driver enjoys adaptive cruise control, dynamic torque vectoring and adaptive steering. 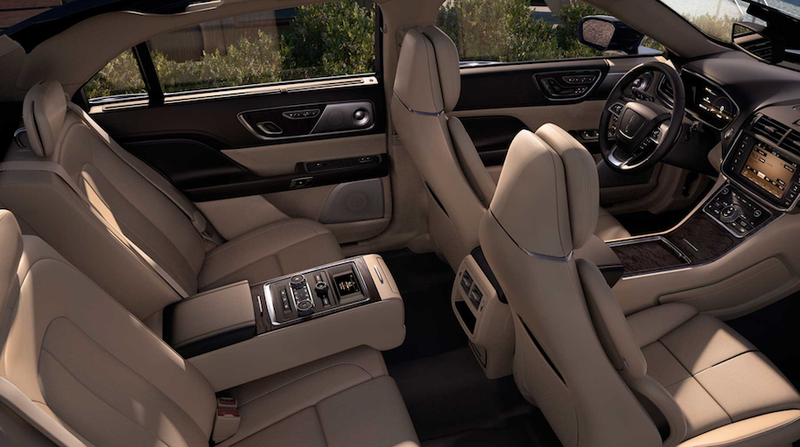 As a proper luxury ride, the Continental focuses a bulk of its most refined features on the car’s interior. There’s more leather inside the car than on the Chisholm Trail, and all of it’s hand-stitched to push home that sense of craftsmanship. The front seats have 30-way comfort settings, heating and massage capability. The drive experience is settled, balanced and infinitely comfortable. Four wheel independent suspension brushes off the road’s imperfections, while Lincoln borrows Ford’s Sync 3 system for onboard infotainment and pours our music through a sublime Revel audio system. Considering Lincoln wants its Continental to compete with any luxury vehicle under $100,000, it’s important to note the automaker kept the first two branches of the car’s trim level tree priced under $50,000. Available in four trim levels (Premiere, Select Reserve and Black Label), the Continental opens up with a base MSRP of $44,720 and tops out at $63,075. 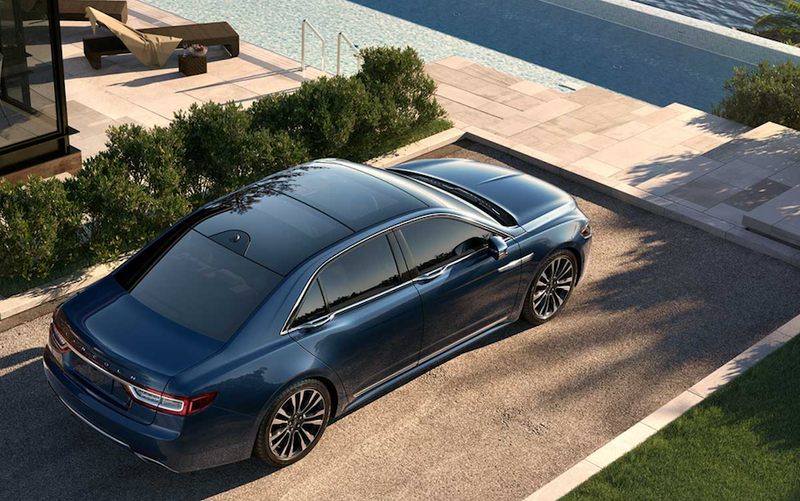 On U.S. soil, the 2017 Lincoln Continental doesn’t have an equal to face it on the luxury car battleground. A tricked-out Cadillac was always its natural enemy, but that brand seems a bit lost at times these days. Uncertain if it wants to be a luxury or performance brand — or unable thus far to capture the balance between the two – Cadillac doesn’t build a luxury sedan to match this Continental. 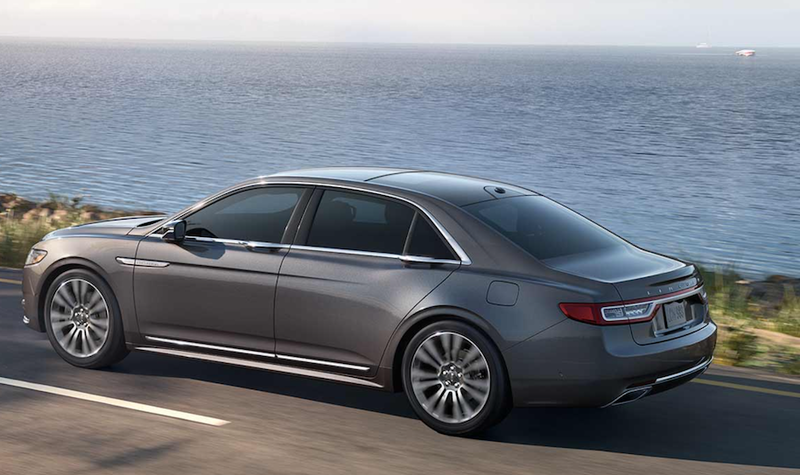 So, Lincoln must aim the returning version of its iconic car squarely at its international rivals. While the Continental slept, BMW, Mercedes-Benz, Jaguar, Audi, Volvo and Lexus added cars to their lineups and refined their formulas. Time will tell if buyers turn to the new (yet familiar) lady on the road.